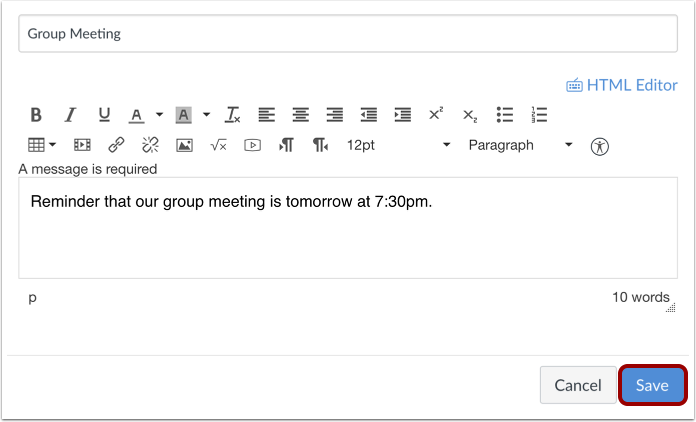 As a student, you can edit an announcement you created within a group. Edit the Announcement. Click the Save button. 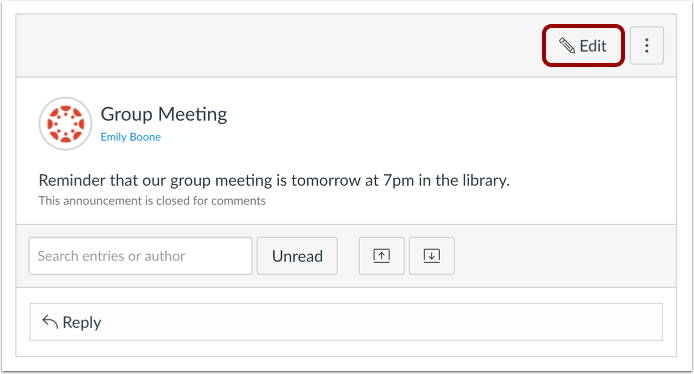 Previous Topic:How do I add an announcement in a group? Next Topic:How do I delete an announcement in a group? 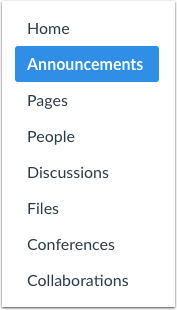 Table of Contents > Announcements > How do I edit an announcement in a group?